Sharing is a foundation for the new experience economy. Social media enables transparency while creating expectations around communication, collaboration, and contextual marketing for both individuals and corporate brands. It's an exciting world but there are also risks and pitfalls. This episode features author and entrepreneur Bryan Kramer, who shares his lessons in a special Lightning Edition of CXOTalk. Bryan is CEO of social agency, PureMatter, and is the author of two books. His most recent, called Shareology, explores collaboration and sharing online, providing practical advice for building personal and corporate brands. (00:04) Shareology, what is shareology? (00:08) Shareology is the art and science of sharing. It’s the what, where, when, how, and why, people and brands share. I took a look at how we can take the sharing and social era and actually define it. I don’t think it’s actually been put into a book format that I have seen and it’s something that I wanted to take on as a big challenge. So it spans from the sharing and collaborative economy into the social era, into where we’re heading into the future for sharing. (00:43) And with that introduction welcome to episode number 130 of CXOTalk. I’m Michael Krigsman and I am joined today by Bryan Kramer, who is the CEO of PureMatter and the author of two books. And we’re talking about sharing and shareology. Bryan how are you today? (01:08) I’m doing great. Thank you so much for having me. (01:11) Well I’m excited, I’m so excited. You know, I was a guest on your show the other day, Human2Human Chat, H2H Chat and now you’re here on CXOTalk so I can’t wait. I learned so much every time I talk with you, so thanks so much for joining me Bryan. (01:27) Hey, the pleasures all mine, thank you for having me I appreciate it. Looking forward to talking and you really did a great job the other day. We had one of the biggest shows ever. (01:35) Well you were you know, you and Susie are awesome, so it made it very easy and very welcoming for me. So Bryan you’re the CEO of PureMatter, so very briefly tell us about your professional background and tell us about PureMatter. (01:52) Sure, I’ve basically been a digital enthusiast/strategist my entire career. My degree is actually in public relations and I actually have a minor in Japanese which I have not never been able to use, so my Japanese is very limited. (02:12) But throughout the years I’ve been able to do some really fun things at agencies. I was brought into all kinds of agencies to help them bridge the gap between traditional marketing and digital marketing. And I was there to both teach the agencies and the clients what that meant through the dot com where I was able to help with a new business, a new startup, and we grew it from three people to 75. Sold it to a public company and that’s when I started PureMatter with my wife and business partner, Courtney Smith 15 years ago. So we’ve been enjoying PureMatter now for 15 years. (02:54) And PureMatter is a digital content and social agency. We focus on enterprise clients like Cisco and IBM and Plantronics and MasterCard and companies like that. We’re really focused on helping clients to solve the needs of today. The things that we’re looking at like you know, influencer marketing and really forward thinking content challenges and solutions and how to map it all together and things like that. so that’s where we’re focused there. (03:26) We also real briefly, we have three other businesses. One Substancium, which is a book publishing company, one is H2H university, which is an e-learning company. Then I’ve got my own company which is not that creative, which is called Bryan Kramer and that’s where I’m speaking and authoring, and writing and have my media company. So there you have it. (03:48) Okay, so now you know this is a lightning edition of CXOTalk, and the lightning edition means that we’re going to ask you a series of rapid-fire questions and you’re going to give us rapid-fire quick answers. (04:07) Are you ready to be put on the hot seat? (04:09) I was properly warned for this, so I’m ready to go. (04:13) Okay, so you gave us a little introduction into shareology, but for the start of the formal question time again, tell us what is shareology? (04:24) So shareology is the study of sharing. It’s also a little more in the trenches on how to share, what to share, why to share, when to share. So it’s basically looking at the art and science, the share and ology. And when you look at the book it’s actually broken down that way. You can take a look at just look at the first part of the book and look at sharing, collaborative economy, and how to share, where it came from and going back to the cave paintings when we first started sharing. On through today, where the ology takes over and talks about the 250 plus interviews that I did with people, executives, and linguists and sociologists and psychologists about what to share. And I actually walk through case studies there and then the last part is future sharing and where we’re heading. (05:17) Now you wrote a book that had the title Human2human, so what does human2human mean in this context? (05:23) Yeah, so you know I’m not the first to talk about the human approach. But I believe I am one of the first if not the first to talk about human to human. And the reason is because I was giving a presentation, a keynote at Bloomberg and what I had been talking about came to light on stage. People actually took a picture of my screen and it went viral. It took over 80 million impressions and in the next 48 hours, over 15 languages which was translated and over 2000 bloggers wrote about this thing. (05:57) So I knew I needed to write a book. Worked on it really hard over the next two weeks and got a book out, which did very well and has been keeping me busy over the last two years. Human to human is really the approach that we all need because we tent to automate and try to automate everything in our lives. And yet the thing that really matters the most is the relationships, so how we going to build that not through automation. We’re going to build that through a human to human approach that still works today like it did 10 or 20 years ago. And that’s why I think it’s so relevant and maybe even more relevant today in our automated world. (06:32) What are the benefits of social media sharing? (06:37) Well, there’s too many for a lightning round, so I’ll give you some of the key ones. One is I can reach out and talk with anyone anywhere. It really gives me the ability to talk with somebody on the other side of the world. So there’s no international fence that I can’t climb over to talk with somebody about a common topic or a way where we can actually get to know each other. (07:08) So just like when we were taught and if you’re a communications major, if you’ve ever heard about peeling the onion. As you peel an onion you go from the outside, the thicker layer to the inside, the thinner layers. (07:21) Social media allows you to peel the onion faster with anyone around the world and get to the thin layer that allows us to meet people and to do business more quickly. (07:33) What are the goals of sharing on social media? (07:36) Again, goals with social are massive. So it could be in a lot of different directions. There are goals that you know you can set that are more brand awareness, more air cover, there’s ground cover goals. There are as I mentioned in my book, there’s social selling although I call it social helping where you’re getting to know people and moving them into the pipeline. (08:03) There’s again more on the brand awareness side where actually helping to get your company more awareness for a certain product or service. Then there is even employee advocacy, where you’re teaching your employees to share. Your teaching them how to build their own brands, their own personal brands which is something new, something that we’ve never able to do before because social media wasn’t relevant. (08:29) It was something where the brand itself would spend billions of dollars, like Nike and they would actually push the brand out. Now we have employee to employee, human to human interactions on the web and whether that you’re B2B or B2C anyone can engage and so the goals have shifted into a much more of an employee advocacy enabled nature. (08:52) And what are the most effective ways to share on social media to achieve these goals that you were just describing? (09:02) The most effective nature is when you take social media and you mold it to your brand and you mold it to you. There is no one effective way and I am trying not to elude your answer here, but as you are looking at who your brand is and what makes the most sense, what is the channel that makes the most sense. So is your audience more of a millennial audience, then maybe Snapchat and Instagram is the most effective channels. (09:37) You know if your audience is business and entrepreneurs, maybe Facebook and LinkedIn are a little more effective. So you really have to take a look at your audience and figure out what channels work. And I do believe with social media that you can look at the channels and integrate them upfront into the strategy, where before you would never do that. you would never think about the medium first, you would think about the message. But now I think we have to think about the message and the medium together. (10:04) So how do you integrate message and medium? (10:08) You know message and medium is different on every channel. So when you look at a different channel you have to actually customize it for that channel. S for instance you would never put a certain size image that fits for twitter onto the same post and the same thing you would say on Facebook why? Because Twitter has 140 characters, and an image shows up differently on Twitter than it does on Facebook. (10:39) So if you’re going to show an image on Facebook and on Pinterest, and on LinkedIn and on Instagram and on Twitter, you know have to create five different images for the different specifications that fit on each channel. And you have to customize each message so it actually fits the channel. (10:59) So you would talk in the present tense for Facebook. you would talk in more first person on Twitter and then you would talk a little bit more businesslike on LinkedIn. So you have to customize both the message and the photography, the medium, or the photo for each of the channels as well. that is how you are going to reach each person across each of those different channels because they see it in the environment it was meant to be in. (11:23) So what do you mean the environment in which it is meant to be in? (11:27) Well the environment for each post, let’s take LinkedIn for example. When you post a link on LinkedIn it’s going to generate the image that comes with it. It’s going to pull out the image from that site, is going to pull the title of the article, and it’s going to pull may be the first two lines of that article with it. (11:50) Now is that what you want everyone to see, because you then have the ability to then go in and actually edit those three different things. You can upload your own image. You can edit the actual description. You can edit the title. So just because it’s presented on a site and pulls it in that way it doesn’t mean that you have to use that. (12:08) The other thing is that each platform actually gives you the opportunity to delete that and upload your own image. So if we know that LinkedIn and I forget the actual size, but if it takes a 400 x 600 image, then create your 400 x 600 image for LinkedIn. You can do that on Canva, they’ll automatically size it for you and it will post that image at that size, you put your message with it and it’s going to show up differently than everyone else’s message in the stream. (12:39) Let’s talk about personal branding. How can an individual build his or her personal brand? (12:47) Well you can start by sharing! First and foremost, the biggest thing is to actually get out there and start sharing your perspective. I had a nice hike with a friend of mine last weekend where we were talking about how to build his personal brand. And he was saying I don’t know if I have something that’s worth sharing. How do I know what to share? How do I even begin? (13:16) And 10 minutes earlier we were talking about this app called Run Keeper and he was showing me all the bells and whistles of this app. How it works, how it tracks you and how it keeps all the statistics about you and how it shares it with your friends. I had no idea that this whole thing existed. (13:33) So to answer his question I pointed out how dare you keep that information from me for the last year. I could have used that information as I was going through learning more about how to actually track and build my results for my health around my body. (13:48) And he looked at me and said ‘huh, that’s interesting’. I could have share that, and I said how many things like that are you holding back. Do you actually know you could have taught me and other people. That’s where I would start. (14:00) Start with the things you’re really passionate about. The things you really know and that’s what you should share with everyone. Don’t be afraid to educate others, of course there are people already going to know about it. But the ones that don’t those are the ones you want to reach because you are providing value. (14:16) What is the connection between building a relationship with others online and building your personal brand? (14:28) Well they’re hand in hand, one equals the other. As you build your social body language, as you build your relationships and with everyone, what they see, what they hear from you, the tone of your voice written through your words and your content and your images are all part of your social body language which is your brand. (14:54) So as you continue to talk with people and engaged and build relationships, they are going to subconsciously and consciously build their idea of who you are in their mind and that is your brand. (15:10) Now, we hear about followers. Do followers matter? (15:14) Yes and no. Followers matter up and to a point. There is a point where people want to know that you have social proof. Social proof is where they want to know that you have been talking about something that people respect, that people identify with and that they want to know more about. (15:35) And to do that they’re going to look at your follower count and it’s just in our human nature to look at a follower count and say, wow they have people that are a built in audience. I want to hear more. It’s just part of who we are and that’s what we do. (15:49) But there is a point where you actually have to do what you’re talking about, and you know there is a do part where you’ve got to get in the trenches and actually work hard to do these sorts of things, like write about the actual implementation of something you did, not just the conceptual idea of what you did. I think it takes doers to actually build in thought leadership and actually be a trusted thought leader. (16:19) Bryan, you mentioned social proof. What is social proof? (16:23) Well social proof is when people can look you up on social media and see that you have done what you say that you’re talking about. It’s basically putting yourself out there and building your brand, your social brand to the point where people are trusting you know (a) that you know what you’re talking about, (b) they see the numbers, the people, the followers there that are helping you. And (c), that people are standing up for what you’re talking about. (16:59) You know, it’s that old thing; if you tweet in the forest is it really heard. If people don’t re-tweet you if they don’t quote you, if you’re not quoting them if there is no reciprocity and no people, and no community built around something then you really haven’t built social proof around what you’re talking about. You haven’t built the right community to build your social brand. (17:25) Now we talk about influence, we hear about influencers. So just to get back to the basics here, what is influence on line? (17:36) Well so first of all I believe that everyone is an influencer on something and I want to stop there to let that sink in. I believe that every single person is an influencer on something. So what that means is that most people haven’t figured out what they can influence. (17:55) They are waiting for it to hit them on their head and I think that everyone has something they are passionate about more than others. And it doesn’t mean that you have to focus just on business. It can be around anything. (18:09) Now when you are influential on something that means that you’re talking about it and if you talk about it online, that means that brands and other people are going to pick up on that. So if you talk about something for the next five days, like the Economist and all you share is the Economist, people are going to start associating you with around the topics and the ideas around the Economist. (18:32) Now I don’t think you would do that, but I’m just overplaying the example. That puts you into a much better position to be an influencer on that topic if it’s coming from an authentic place, because people can tell when it’s not coming from an authentic place. (18:47) So pick your passion, start sharing and over time you’re going to see people veer towards what you’re saying, because your passionate and authentic about that certain topic. And brands may even pick you up as an influencer. (19:03) You mentioned authentic and it’s another one of those terms that we hear, so what is authenticity on social media? (19:10) Authenticity is this euphoric place I think we all want to get to. We are at our best when we’re authentic. We can deliver a message without stress or without fear because we’re being our true selves and that’s more of the philosophical side. (19:32) On the business side it means that we’re not faking the message. It means that we’re coming to terms with who we really are and actually putting that message out there and is resonating because people believe it because we are representing who we truly are. (19:47) And that is the toughest thing. The toughest thing in the world is to find out who you truly are. We talked about this the other day in our H2H chat in terms of coming up with what’s simple, what’s the simple message. (19:59) And simplicity and finding your simple message, finding your authentic message is going to help you gain more brand awareness and more influencers and more social proof, and everything that we are talking about here today. (20:12) Okay, so then a corollary question, how can we gain more influence on social media? (20:20) You know there is a couple of high-level things and a couple in the trenches ways that you can gain more influence. The high level stuff is one or two examples would be that you would actually have to sit down and figure out what your passion is about, what is your brand going to be about. Are you more into biking, are you into some of the social networks a little bit more, are there certain social networks you love, it there an area in your life that people tend to come to you for answers. That’s probably an area where you know, you might be passionate around, so that is that. (21:02) Now, how do you take that to the next level. How I did it I blogged, I wrote about my experiences. I literally sat down and took about you know, 30 minutes to an hour – it started two hours and it has come down a lot over time and you can write about this stuff and start blogging. You can blog today on any network. You can get on LinkedIn and blog and all of your followers are going to see it and all of your connections will see it immediately. (21:28) Then after time people are going to start connecting with you. You can interview people. If you’re interested in interviewing others and you don’t know where to start with your own message, then get out there and start asking people about theirs. Learn from them, but turn that into content. (21:44) I also started doing that and it helped to not only educate me it also educated other people around the same questions that they had as it turns out that I had. So I could then take those and put them on videos and then people all of a sudden started to have education around the same things that I needed. (22:02) So there’s many ways that you can learn how to build this though leadership through building your own channels and letting other see what you’re learning while you’re along for the ride. (22:10) But how can you stand out from the crowd? (22:14) Yes, so standing out from the crowd is one of the toughest things, especially when there’s brand noise and when there’s social noise out there, and I honestly think that there’s one way that you can do that. That one way is really kind of going back to an example that I give around the wave, like when you’re at a stadium and the wave happens. (22:40) And if anybody and I’m sure most people out there have been in a sports stadium when a wave actually goes off, it’s really hard to get the wave to go. But when one person stands up and starts it, they usually get there small community involved. And then they get a bigger community involved. And then they get a bigger community, and before you know it the whole stadium is involved. (22:59) And sometimes it goes around ones, and sometimes it goes around twice, sometimes five times and even sometimes 10 times. Now how do you get that started? Well when you look at examples like the back head or the ASL ice challenge or any of these things that went viral, it always started by one person every single time. And that one person started it within a smaller community. (23:25) The other thing that happened is that it didn’t happen overnight. Like with the wave it took three years before Crazy George in 1984 could actually ge the wave to go off at the Oakland athletic stadium. (23:36) So my point is that it takes time to build a community. Build a community that’s smaller and invested in the same message, and before you know it you can build a, larger community and a larger one and sometimes it will go off five times and 10 times bigger. But you have to start somewhere and it has to be with a community. (23:54) And how do we measure influence online? (23:58) So influences that’s probably one of the toughest questions you can ask, because it can be measured in different ways depending upon what your goal is and there is no right way. There is no wrong way. It’s all up to what you want to accomplish. (24:17) So there’s a couple of basic benchmarks that I know some of my friends would disagree with me on, like using some of the basic benchmarks, like clout and cred and some of the scoring mechanisms. Those just give you a kind of a baseline and I don’t believe they’re totally correct but they’re a great baseline. (24:37) There’s also tools out there. There’s so many different tools that will allow you to see the reach and the voice, of the shared voice that a person has around a certain topic. So a shared voice is when you take a certain combined words you know around a certain topic and you say okay, well of this person and that topic how much shared voice, how much percentage do they have around that topic? And if they have a good percentage, if they’re taking 15%, 50%, even 75% of this topic, they’re probably going to be a great influencer. And it’s also a great benchmark, because you can see over time how their shared voice is going to increase on that same topic as they start to spread the message and share the message out. (25:23) Okay, so we know that we like followers, but they are only so important but at the same time everybody wants to know, how do we get more followers? (25:34) Yeah, well everything that we just talked about is going to help you get more followers. If you want your follower count to go up, if you’re really focused on that, one, it depends on the different network, so each networks completely different. But let’s use Twitter because that’s probably the easiest. And my biggest tip is to get onto tweet chats. (26:04) Tweet chats there’s hundreds if not thousands of them happening a week. If you want to see your followers count go up just join one tweet chat and I guarantee you, your follower count will go up. (26:13) And a tweet chat is a hashtag around a topic and you can take part in that tweet chat that happens every week, and it’s mostly every week at a certain time. And there’s a host and a guest and you can be a participant by simply getting in on the tweet chat and using that hashtag and taking part in that topic or conversation and entering in your own opinions and your own thoughts. And during the course of the tweet chat you will get to engage with everyone else in the tweet chat and they will follow you back because you’re engaging, because you’re putting out a real human to human approach. (26:51) Okay, now let’s switch gears a little bit and talk about brand. How can a company build its brand online? (27:03) Oh man, you’re asking the big ones today! (27:08) Hey you’re the expert and this is a CXOTalk lightning addition, and our goal is to put you on the spot! (27:18) You’re doing it, this is good! (27:20) Alright, so how does a company build its brand online? (27:26) So building a brand online is done two different ways. One – and I’m talking socially here because we can go lots of different directions with other digital means. But just socially speaking there’s the brand side of building your social handles and building a community around those social handles, and even more so building content. (27:53) Content as they say – not anything new here, is King. When you build the right content people want to engage with it. It is a conversation starter and if it’s even worth sharing, then people will be thanked for sharing that content which starts to extend your community. So that’s the basics on that side, and on the other side there’s employee advocacy. (28:16) That’s raising the awareness around your employees and teaching them how to share. Teaching them what is shareable, including them in your content creation process, including them in the actual content so that they feel and have helped to build the content itself, which will help them want to share things out. (28:36) As well there are great tools like Dynamic Signal, Influitive, Social Chorus, those tools will help you to then spread the word much faster. So people will want to know what they can share. They are always willing to be helpful so you want to put content onto one of these tools which then reaches immediately out and pushes the content to their mobile or desktop devices. And then they can easily share that content out with a push of a button, which all of that gets tracked back to the software which becomes measurable and is a lot helpful. (29:13) And in most companies that I just said, employees have a much further and more trusted reach than the brand itself. (29:22) Okay, what is your advice for using Twitter effectively? (29:29) So I love Twitter. I know that they are going through some challenges right now on who they are and what’s going to happen. But Twitter for me is something that I use every day and I’ll tell you how to use it, just like how I use every other social media platform. (21:49) And going to start by saying this and I think you’ll get this Michael because your into photography like I am. A photographer looks at their photography in what they call a rule of thirds. The most interesting pictures are when it’s not centered every single time. (30:05) When you look at a photo that way, it really starts to change the dynamics of how creative a photo is and how everybody interprets the photo. (30:14) Now, when you look at your social media, especially your Twitter account that way, you’ll start to rise above the other noise on Twitter, when you start to look at it in the rule of thirds. (30:26) What that means is that when you take – and by the way this applies to Facebook and LinkedIn, Pinterest and everything else. When you start to look at all of the ways that you share into the rule of thirds, you’re going to become more dynamic. There are going to start learning more about you and remember back and they are going to peel the onion and learn more about you as they go. (30:45) So what I do is that in one third of the time I will talk about news, tips, tricks, ideas, what’s going on in the world, what the things I’m passionate about. One third of the time I’ll talk about other people. I will feature them, help them, tout then, help them build their presence, or just congratulate them. (31:05) And one third of the time I will talk about myself or my company. ‘This is so exciting, I’m so excited I was just on CXOTalk, check it out. Oh wow, my book just made USA Today top 150 book, I’m so excited, thank you all I really appreciate it’. (31:19) So one third of the time I’m talking about that stuff, so it’s not all the time that I’m talking about me. It’s not all the time I’m talking about someone else. It’s not all the time and talking about news, tips, and tricks. (31:30) Now, when you combine that and you look at it in that way you’re going to get a much different level of engagement from everyone because they’re going to start to learn about your social body language over time in a much better way, which is really creating a much more three-dimensional response, which is who we really are. And so, rule of thirds that would be my best approach. (31:52) And any specific advice for LinkedIn? (31:58) So LinkedIn is such a great tool, where you’re going to find the most value is in three different areas. One, is there stream and I know it doesn’t get the engagement like on Facebook does, but when you share at least two articles a day, and you pose a question or you even put up a photo or something interesting, maybe a little bit more personal. You see a lot of business stuff up there, let everyone see the personal side of you a little more, and I think it will stand out on the stream. That’s probably part of the problem with the LinkedIn stream. (32:34) Number two is that you can reach out to so many different people, and there’s this thing called Inmail, where you can send a certain amount of private messages to people, and I’m not talking about the automated boring or hard responses that people have. I’m talking about the personal response that you put out to someone that really makes a difference in their day. Like, ‘hey I noticed you said this on this blog, and I’m really excited for you and I would really like to connect with you, or I would really like to interview you’. Those kinds of personal human to human In mails are great. (33:11) Number three is groups, and groups are phenomenal, and you can join up to 51 groups. So if you want to help share your content and other people’s content, it a great way to get in there and share and also take part in the conversations. You now have 51 groups of hundreds of thousands of people that you can reach, and I think that’s one of the best if not the best ways to network in LinkedIn. (33:38) And how about Facebook, specific advice for Facebook. (33:42) So Facebook is my favorite platform personally, even though I spend a lot of time on Twitter and LinkedIn. Facebook I love because it is a much more personal network. It allows me to do exactly what I was talking about before. So, rule of thirds still apply on Facebook. I just tend to be a little more personal on Facebook. I’ll have a little more humor, a little more fun, and share a little bit more of my life, my kids, my family and things like that on Facebook then I will elsewhere other than Instagram. (34:15) And so Facebook allows you to participate there, the second thing is that they have the equivalent of groups. They have private and public groups just like LinkedIn, and I think they are just as much fun, they have just as much reach, and you can talk about different topics and things in there. Chris Brogan has the private group, which is Off The Chart with numbers, and that’s a great group to join, and it’s just very helpful and there’s no selling involved, there’s lots of groups like that. (34:46) I used it to help launch my book, I reached out and it has private messaging, so I reached out individually to well over 500 people in one to one messages, asking them to help and I could not have done that on any other medium like I did on Facebook and I addressed it obviously and personalized it as much as I could that way and got some awesome responses and off the charts reviews for my book because of that tactic. And I could just keep going on, but those are some of the great ways you can use Facebook. (35:18) And my final question, how should one respond to negativity online. (35:25) Yes, so negativity that’s a great question, because we all will face it or have faced it. The way that I do it is I check out who they are, where they’re coming from, and are they real or fake before I answer. (35:42) If they’re real and they have background and they are positive in other ways towards other people, and they are not negative on every single comment that they put out there meaning they are a troll then I will respond. And I’ll usually respond once and give them the benefit of the doubt that they are open to a conversation and a good positive healthy debate which I don’t mind at all. (36:06) But if it’s there simply to battle or to boomerang the question back, they are truly categorized as in my book as a boomerang. If they’re to boomerang back and be negative or a troll, then I will not answer a second time and I would have given them at least the benefit of the doubt with the first question. I suggest businesses do that as well that way. (36:29) Bryan you have survived a CXOTalk lightning edition and I sure have learned a lot and I’m sure the people watching have learned a lot as well. Well you know these topics that we’ve been talking about everybody, brands, and individuals we’re all online and we want greater influence, and we want a higher number of followers. We want to engage with people and we want to develop relationships, and we want to push our point of view and all these different things. But it’s tough to stand out from the crowd. (37:12) You know one thing that I didn’t say and I’d like to say it now, and I have this in my book. It’s a formula and it’s basically the one thing that all of my 250 plus interviews boils down to, and people see you and they perceive you by the content or the information that you share. And what that means is you are what you share. (37:41) So if you want to gain more followers, if you want to build your brand, if you want to become something in a certain direction and build that perception, share things that make sense in that direction. (37:53) I know that sounds very simple and what we all get, but subconsciously I see a lot of people not doing that. And so it is really important that we share, not just our own stuff but other people’s stuff that. The category of how we want it to be perceived. Again, in an authentic way, but that will change the direction of your brand. (38:13) You know the notion of being authentic is another one that people have trouble with. (38:24) You know my friend Kim Garst wrote a great book called, Will The Real You Please Stand Up, and I definitely highly recommend it because it talk through what you’re asking. You know, it’s one of those things where people have a hard time with themselves, with the healthy ego, who am I, those kinds of questions, why would people be interested in what I have to share. (38:50) And I had to get over that myself. It took me eight years before I actually separated my brand from PureMatter because I didn’t believe in building a separate brand. But I got over it because I realise that how dare I hold back my information that I know from everyone else, and how dare I hold back from helping other people to share their information. (39:12) And that's where I started, and I started by interviewing some really important people and some really fun people and eventually I got to interview people like Ted Turner and the CMO of SAP and the CMO of Cisco, and some of the same people you interview here on your show and it really helped to educate me build their brand. And in the same time it helped to build mind. So you know if you’re an introvert, get out there and build other people’s brands and it will help you as well. 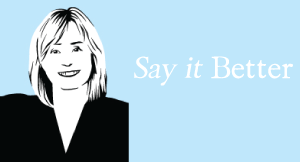 (39:44) And if you’re an extrovert, well get started and start sharing your information. It’s kind of that simple. (39:50) You know helping build other people’s brands in one sense is the surest way to help you gain influence I think. (40:02) Absolutely. It’s the surest way, it’s the most helpful way and I think if we all helped each other then you know this world would be a better place. So you know it’s the quickest thing that we can do to getting a connection and the friendship made. And quite frankly you know, you and I have now spent time on my show and your show and I have gotten to know you better for it. I feel like we’ve built a friendship, and I don’t know if we would have done that otherwise, because if the lack of technology or the shows weren’t there, so now I have you as a new friend. And if I can do that with you and you can do that with me then you can imagine how many people we could do that with outside of this. So that’s what I enjoy the most. (40:51) And that is pretty awesome. And so this has been a very very very fast 40 - 45 minutes. Thank you so much Bryan for taking the time. (41:03) Thank you so much, I sure appreciate it. (41:05) So, we have been talking on episode number 130 of CXOTalk with Bryan Kramer, who is the founder, CEO of PureMatter, a social agency and the author of two books, including his most recent book Sharelology and boy we’ve learned a lot about shareology today Bryan. Thank you so much. (41:29) Thanks for having me I appreciate it. (41:31) And everyone come back for CXOTalk on Friday, our guest is going to be Robert Keane, who is the CEO of Vistaprint, which is a billion-dollar company that is changing how printing is done around the world. Thanks so much everybody and we’ll see you soon bye bye. 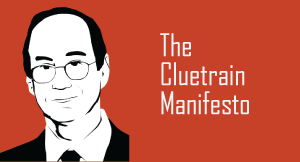 David Weinberger is co-author of The Cluetrain Manifesto, the bestseller that cut through the hype and told business what the Web was really about. We spoke with David about conversations on the social Web and how marketers can get it right. 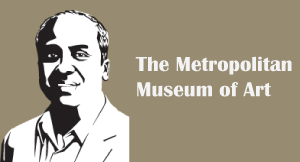 Sree Sreenivasan is Chief Digital Officer of The Metropolitan Museum of Art.